This post was made in partnership with World Vision. All thoughts, opinions and experiences are my own. Thank you to World Vision for allowing me to share this story. I recently had the opportunity to travel to Honduras with World Vision. The trip was amazing and one of my favorite days was when we got to meet Maria and the sewing group for single mothers she had started with the help of World Vision. Here is the video I made with the help of my husband to share her story. Before we could get to the fun part of learning about what they like to make and sell, Maria told us the story of how the sewing group came to be. I sat down to listen to her share her story. Several years ago with no food or income, Maria felt that she had no choice but to leave her children behind and try and travel to the United States to get work. Her journey was very costly and dangerous and she teared up every time she mentioned worrying about her children back home. She made it to the border, but was caught and thrown in jail. It made me sad to hear that she was abused, bound in chains on her wrists and ankles and deprived of her basic needs. 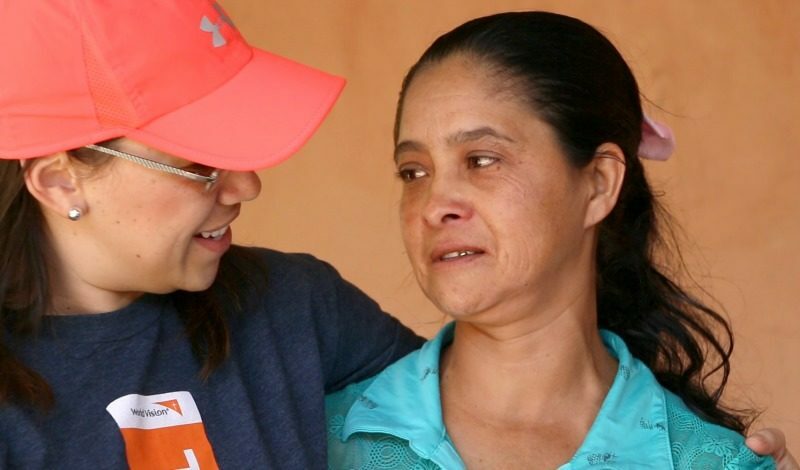 She was deported back to Honduras and dropped off at the airport with nothing, begging for change to make a phone call to check on her children. I could understand how hopeless she felt at this point. Back to square one and worse off than before. Then she heard an ad on the radio of an organization helping people who had been deported learn a skill. 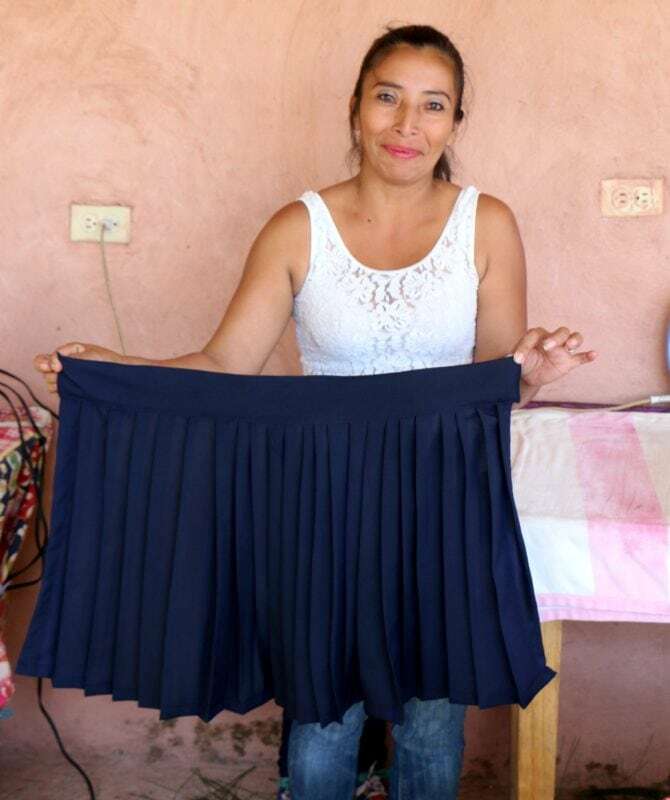 Of the options, she decided she’d like to learn to sew and the organization said they can help her get sewing machines, but she had to form a group and make a business plan first. 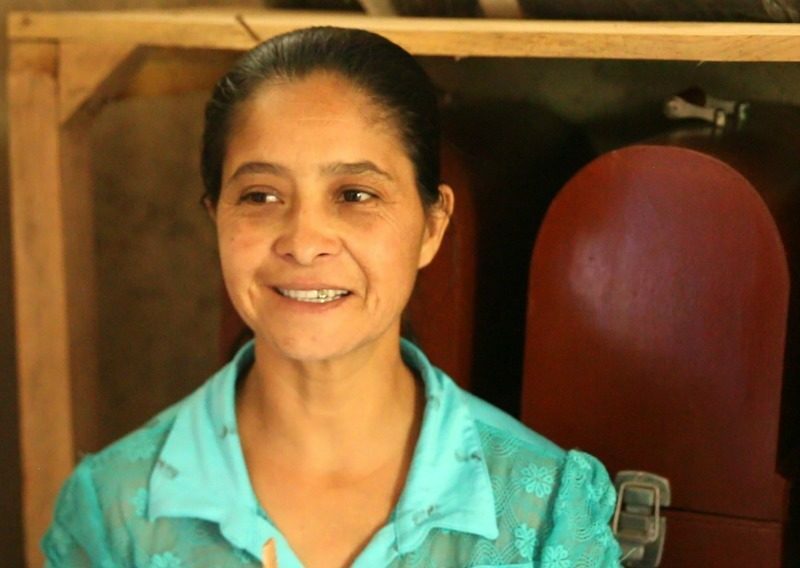 She gathered up several other single mothers in her neighborhood and World Vision helped her make the business plan. 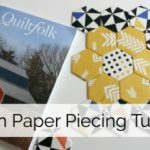 She qualified for 8 Brother sewing machines. This is where is starts to get good! The good parts of this story are so much sweeter when you see how much Maria went through first. After she got the sewing machines, World Vision donated the fabric and an instructor to come teach them to sew. 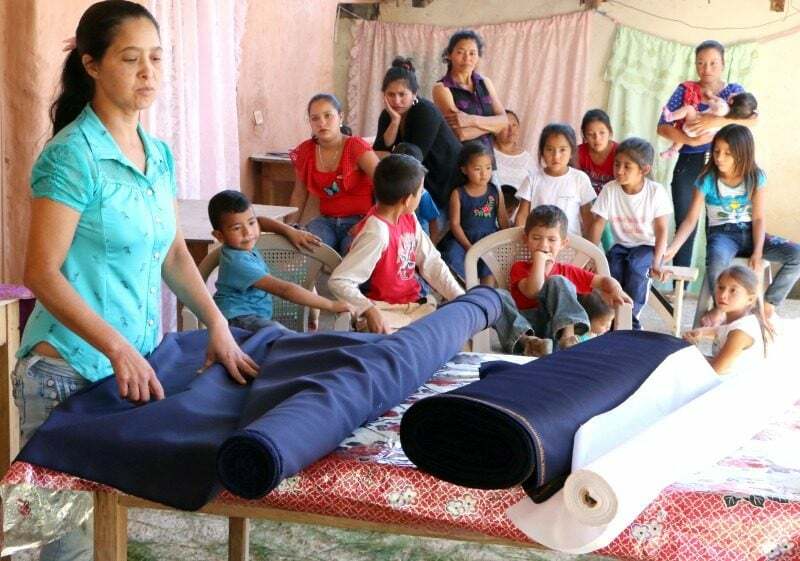 They started making school uniform for their own kids and to sell to the community. 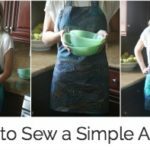 The pleated skirts are their favorite to make and most popular item ;). 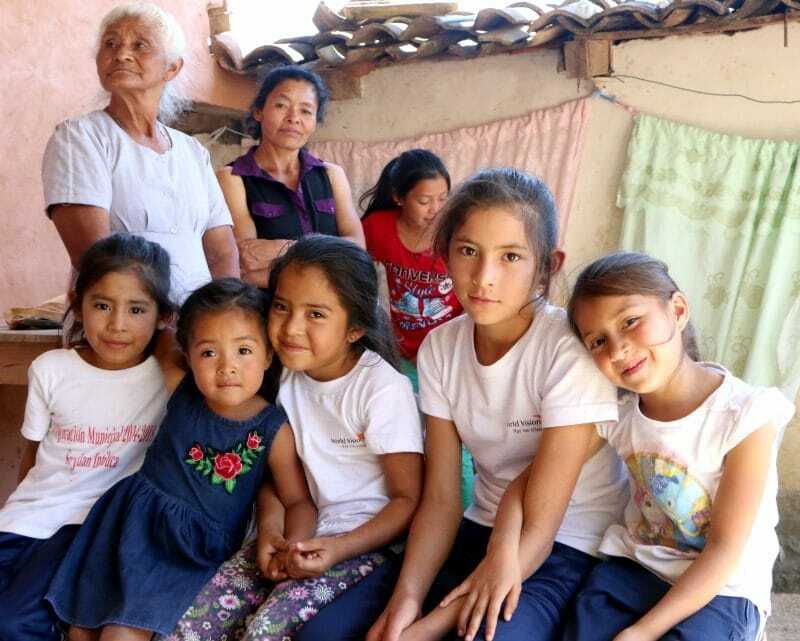 The reason why World Vision was able to help Maria is because of the child sponsorship program they have set up in this community of San Juan. If you sponsor a child, not only do you get to help that individual child with school supplies, but you are able to help the entire community and build a relationship with them. You can send notes, small gifts and tell them how much you care about them and their community. With these sponsorship funds, World Vision helps build schools, teach families about nutrition, farming practices, waste management, sanitation, vocational skills, healthcare, and so many other things that are specific to the needs of this community. Click HERE to sponsor a child in Maria’s community today! The sewing group has grown to now include 20 women, all single mothers, who have learned to sew and earn an income for themselves. How awesome is that?!! 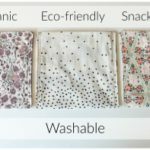 They have expanded the items they sew to include home items like bedding and sports jerseys and shorts in addition to the kids uniforms. 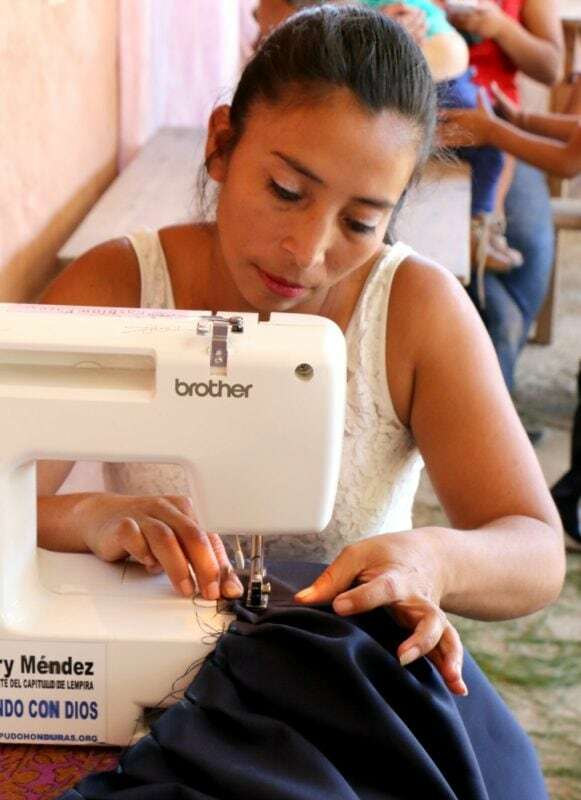 Maria was so grateful for the help from World Vision that when she heard about a community in extreme poverty that couldn’t afford uniforms, the sewing group stepped in and donated 33 uniforms. I mean, are you kidding me?! 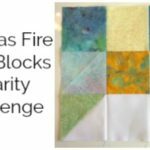 These women are making just enough to barely make it and they are donating to others in need?! Do you see the trickle down? We support a child in Honduras for just $39 a month and all of this good comes from it. I have seen first hand how responsible World Vision is with the resources they have. 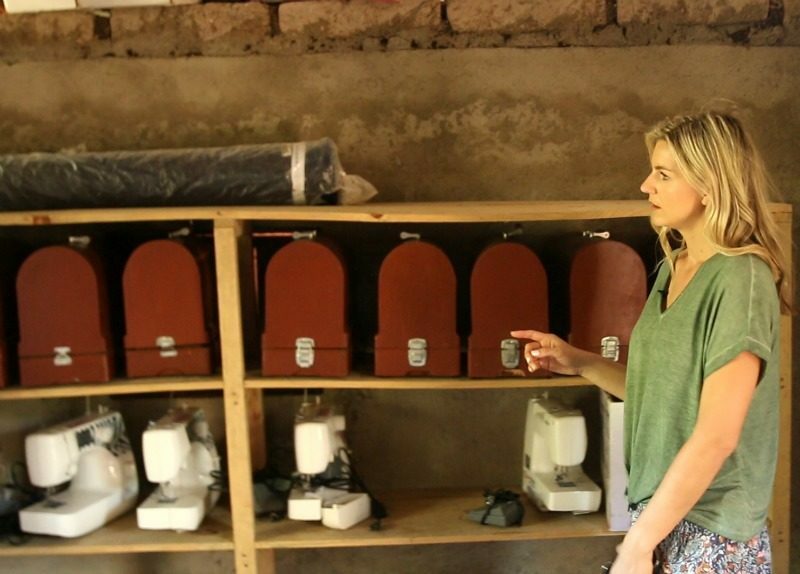 Their approach of education and empowering people to be able to do things for themselves is awesome. 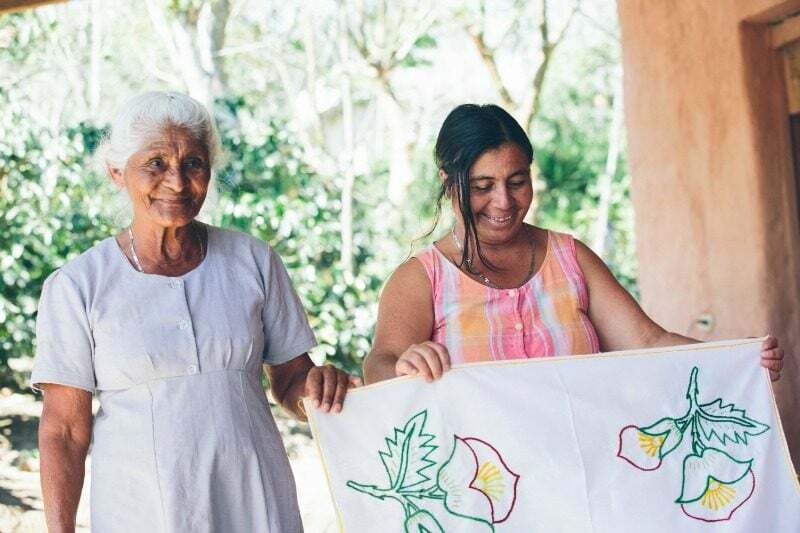 I was so happy to be able to experience this trip, especially meeting Maria and her amazing sewing group. Please consider joining me in sponsoring a child in Honduras. 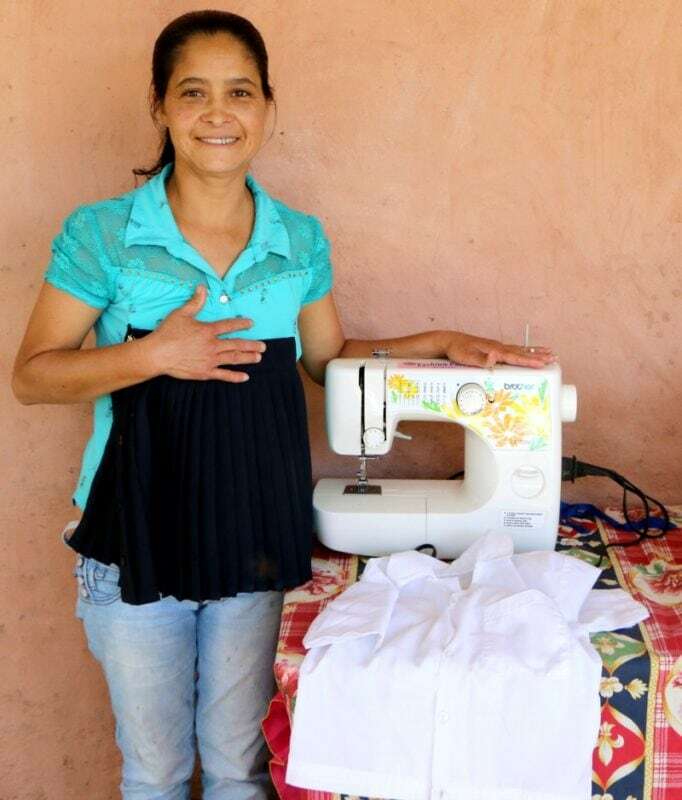 I hope you enjoyed hearing about Maria and her sewing group for single mothers. Let me know what you think in the comments! Thank you to Will from The Humbled Homemaker and Matthew Paul Turner for sharing some of your photos with me. Beautiful job. Our church has 2 sewing machines that we would possibly donate to this cause. Any info you could provide? Such an amazing woman and community. Great video Melanie, you too are inspiring to others. Yes, it was a blessing for sure! This is an amazing story. What touched me most was that Maria & her group that donated handmade uniforms free of charge back to the community, even though, she is trying to keep afloat. This proves that Christian love is abundant in all parts of the world. Bless U Maria & to your group of loving single women. I am so moved by stories like this when people share experiences that promote giving back to the community, God bless all the people that leave their comfort zone to help others!